FAYETTEVILLE (WTVD) -- Fayetteville police are searching for the man responsible for robbing several businesses in town. On Sunday, police responded to a robbery at the Metro PCS in the 2000 block of Owen Drive. An investigation revealed that the man walked into the business and approached the employee at the counter, displaying a handgun and demanding that the employee give him money. Once money has handed over, the suspect fled the business on foot. The suspect was described as a white, possibly Hispanic, male in his 20s or 30s. He is 5'10"-6'0," wearing a dark colored hoodie and blue jeans - a description that matched another Metro PCS robbery that occurred on November 28. 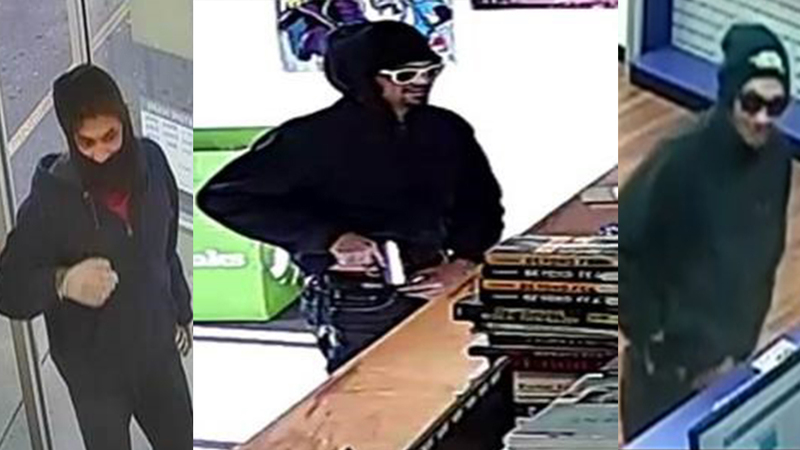 Police believe he may be connected to two additional robberies that occurred over the weekend. An armed robbery at the CVS on Bragg Boulevard on Saturday and an armed robbery at the Textbook Brokers Store on Fort Bragg Road on Friday. Those with information are asked to call the Fayetteville Police Department at (910) 237-9374.